The abbreviation VIN is short for Vehicle Identification Number. 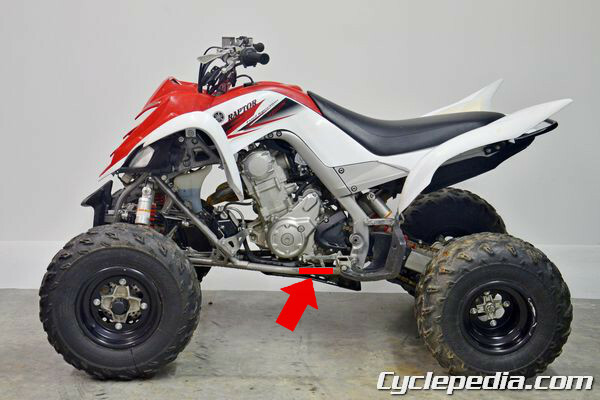 All motorcycles and ATVs are given a unique VIN when they are manufactured. VINs are used to track ownership and record insurance claims and service procedures. Motorcycles manufactured from 1980 to present have 17 digit VINs on US models. Bikes manufactured prior to 1980 will have shorter VINs. VINs never make use of the letters “I” or “O” – these characters, if present, are the numbers “1” and “0”. Also, the letters “Q” and “V” are not used, as these could easily be mistaken for the number “0” or the letter “U”. 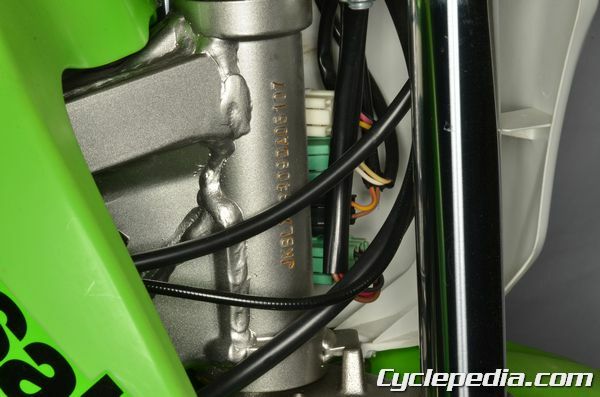 Most motorcycles have the VIN stamped on the steering neck of the frame. ATVs often carry a stamp on one of the frame siderails, or at the front of the frame. You can locate your VIN on your title paperwork or insurance records. How Do I Decipher a Motorcycle VIN? The VIN shown here is from a 1993 Honda XR600R. The second character tells us which manufacturer produced the motorcycle. The tenth character tells us the model year of the motorcycle – don’t confuse this with the date it was manufactured. Often times a motorcycle is manufactured the year before it’s model year. Keep in mind that prior to 2001 the tenth character is a letter (A = 1980, B = 1981, etc. ), remember that the letters “I”, “O”, “Q” and “V” are not used, while after 2000 the tenth character is a number reflecting the year (9 = 2009 for example). The following table illustrates the meaning of this tenth digit.